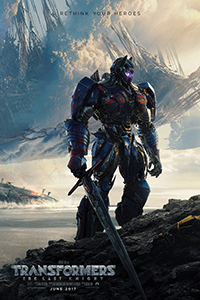 In the 5th installment of the Transformers movie franchise, humans & robots fight over an ancient artefact linked to Merlin of medieval times and the arrival of a desolate Cybertron. As my first project at ILM London, I joined on to composite several shots on different sequences throughout the film. The scope of work, the new company's pipeline & short deadlines were a considerable challenge, but also a great learning experience for myself.